As you walk down Nashville’s main drag just after sunset, it’s easy to see how the Music City earned its nickname. Shops selling guitars, custom leather jackets, and boots are wedged between ever-expanding honky tonk bars that play all of country’s greatest hits, and then some. The sounds of street performers tinkering away on their homemade instruments, the strum of guitars, and the drawl of southern voices create a soundtrack that can be heard nowhere else but Nashville. The city has boomed in the recent years, with 14.5 million visitors in 2017 compared to 8.5 million visitors in 2008. Soon-to-be brides and grooms are choosing Nashville as their destination for pre-marriage debauchery, rather than Las Vegas. Big name country artists like Jason Aldean, Dierks Bentley, and Blake Shelton have all opened doors to bars of their own, welcoming fans in droves. If the mainstream scene isn’t your thing, there is plenty of low-key country music to enjoy in Nashville’s bordering towns, that host porch festivals and open mic nights for those who want to hear upcoming artists and their original songs. No doubt, the center of Nashville’s country music scene is on 5th street, at the Country Music Hall of Fame. The museum houses 2.5 million artifacts and its exhibits are spread across two spacious floors. It takes about three hours to browse through the museum at a leisurely pace, though you could easily spend more time listening to the music and learning more about the musicians if you wanted. 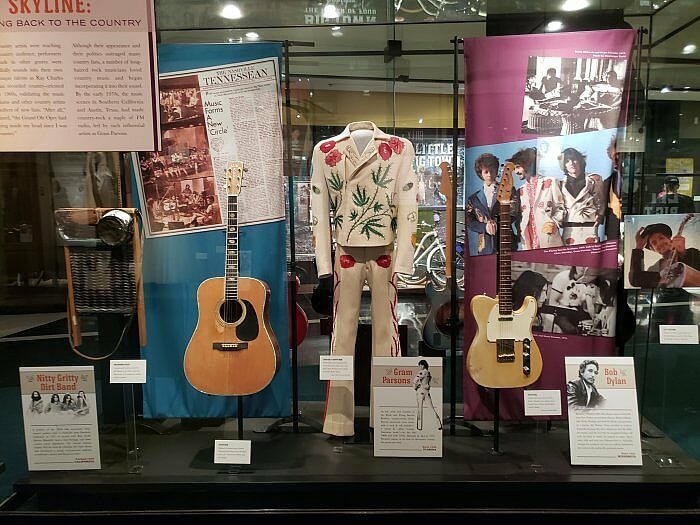 You can read the first handwritten drafts of some of the most popular country songs, admire (or gawk) at the choice of costume for some of the largest music performances, read about the history and struggles of many of the artists, and watch a short video that shows the evolution of country music by placing the top artists in the context of history. 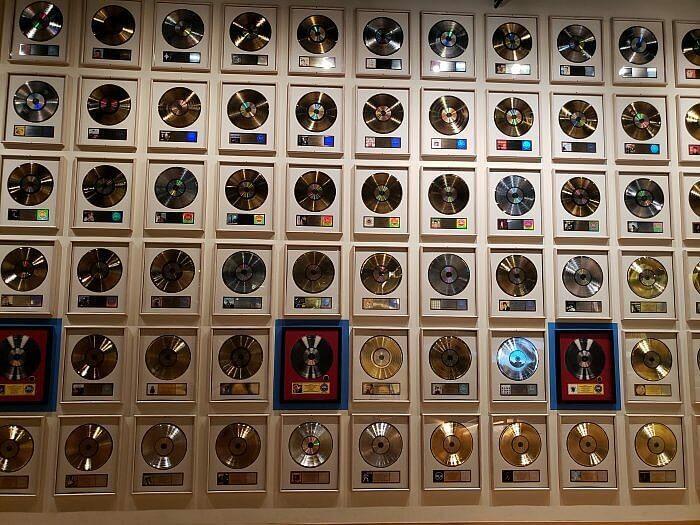 Perhaps one of the most interesting things about country music — illustrated by the Country Music Hall of Fame — is how much the genre has adapted over time. It first took root in the early 1900s thanks to fiddlers in Southern Appalachia, but adapted to include jazz, rock, and pop influences. Jimmie Rodgers, Elvis Presley, Johnny Cash, Dolly Parton, Willie Nelson, and Patsy Cline have all been inducted into the Hall of Fame, despite their stylistic differences. 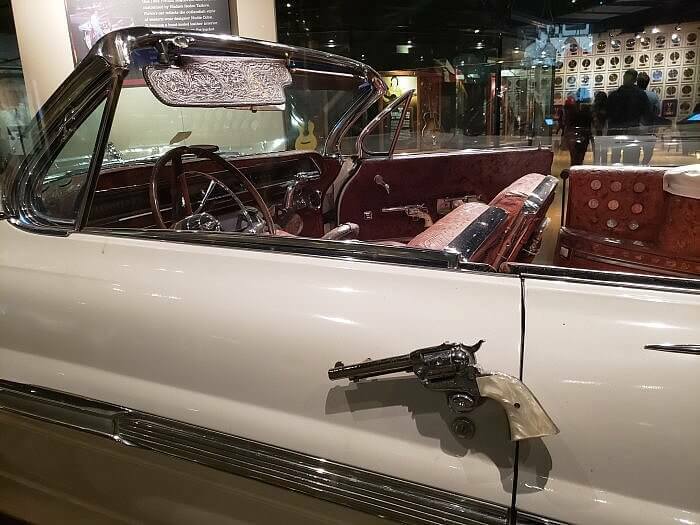 Even if you’re not the biggest fan of country music, the museum does a stellar job of roping in its guests through interactive exhibits. 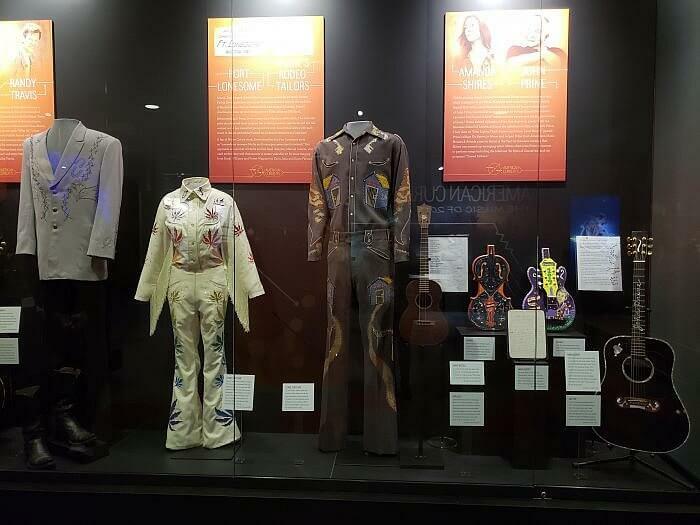 Many of the country stars’ iconic costumes are on display, ranging from rhinestone-studded rodeo suits to Taylor Swift’s high-fashion ensembles. It’s also interesting to see what artists played only the finest instruments, while other artists strummed guitars that were little more than a sentimental toy. 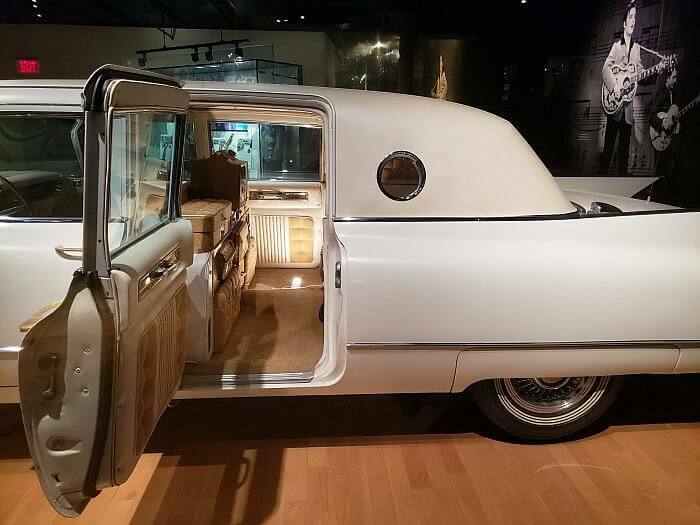 One of the major highlights for me, however, was taking a peek into Elvis Presley’s gold-plated Cadillac limo and admiring the six-shooter door handles on Webb Pierce’s Pontiac Bonneville. While country rarely makes a feature on my music playlists, I left the museum wondering if I should invest in a sturdy pair of cowboy boots and some guitar lessons. My family members who hum along to all things country left feeling just as inspired. To me, that’s a sign of a museum that knows how to simultaneously please its fans and rope in new ones. Admission to the Country Music Hall of Fame costs $25.95 per adult and $15.95 for kids aged six to 12. Kids five and under enter for free. There are frequent concerts and events tat take place at the Country Music Hall of Fame, so be sure to check their online calendar.